Kiera Gabrielle is 18 years old and performs both covers and original songs that she has written herself on her Ukulele and Guitar. 2018 was a busy year for Kiera as she was given the opportunity to perform at many events including Chilli fest, Thame Town Music Festival, Lunar Festival and the O2 Academy Oxford. 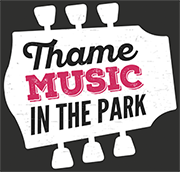 “I am really excited to perform at the 2019 Thame Music in the Park and continue my love for performing”.